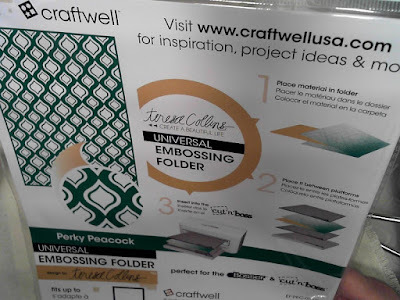 I love Craftwell Embossing folders. You can use the to emboss as they were made to do but also to decorate fabric. 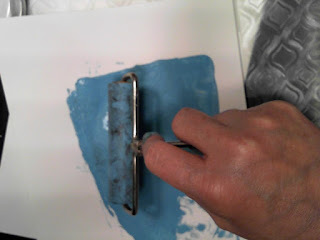 This technique should work with any standard embossing folder however. 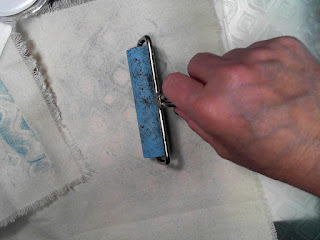 I used some textile paint, chalk paint that is recommended for fabric works great. 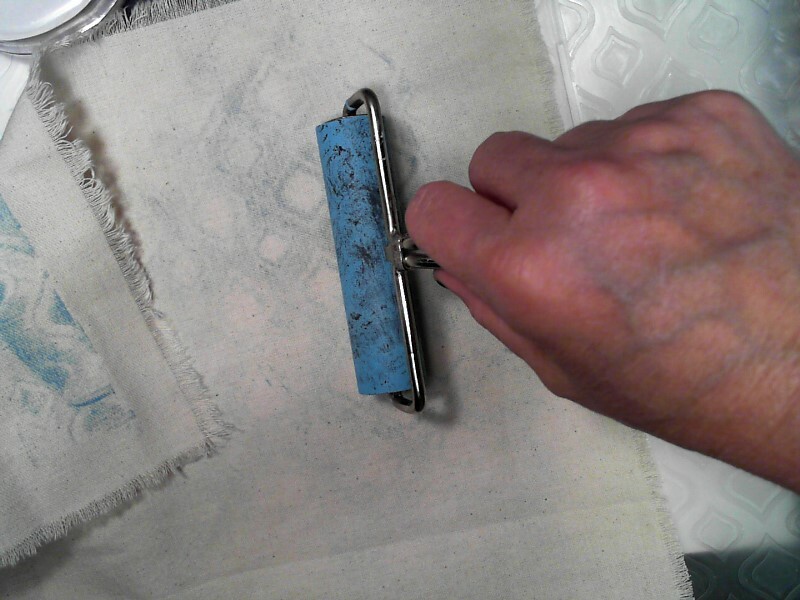 A brayer to roll the paint over the fabric and folder. Roll the brayer till it loads with paint. 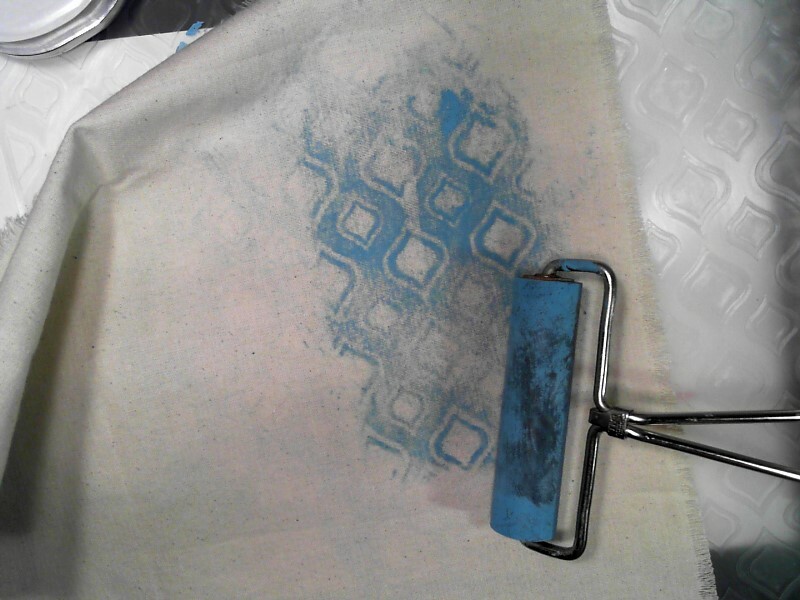 Roll the paint filled brayer over the fabric with the folder underneath. 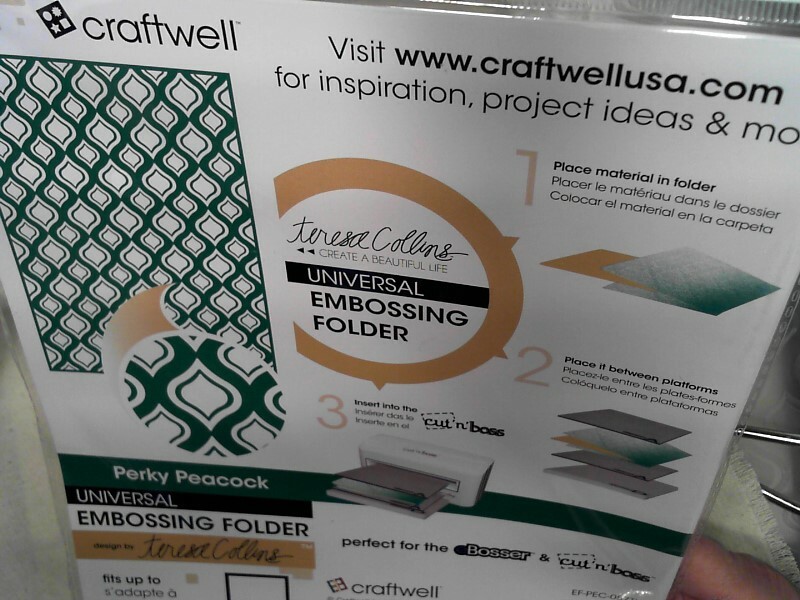 The design is now rolled on to your fabric ready to use. I am going to post my finished project next week. Give this a try it is so much fun.